Search Brownstone Condos in Provo Utah | Buy or Sell! 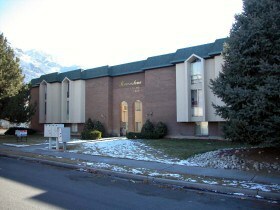 Brownstone Condos – Provo Utah are located at 1080 E. 450 N. Provo, UT 84606. Brownstone Condos are BYU Approved for both Males and Females. Brownstone condos were built in 1970 and have 24 units in the complex. These condos are not typically FHA approved. Many of the units are approved for 6 students. A buyer needs to verify this information prior to buying a Brownstone Condo. Are you searching for information on the Brownstone Condos in Provo Utah? The landlord needs to be on-the-pulse with rental rates of similar properties within Provo and have an idea of how future rates are trending to correctly set a competitive rental rate. Being price-sensitive is a prudent approach as it is better to forgo $10 over 52 weeks than having the property vacant for a couple of months. BYU students tend to be really good tenants. They live by a strict honor code. If you have good tenants it is better to keep them and not raise rents while your property is occupied. Advertising. Renting a condo is fairly simple. A landlord should get their unit put on the available condo list with BYU offcampus housing. Placing an add on KSL is another good idea. You need to receive inquiries in a courteous and professional manner. Understanding the process of tenant screening and acceptance gives tenants the confidence that you know exactly what you are doing being a self-managing landlord. Screening your potential tenants is probably the most important process as it is easy to accept and extremely difficult to remove a “bad” tenant from the property. This process should cover questions relating to identification checks eg passport and driver’s license, tenancy and employment history, credit and reference checks and bank statements. Be sure to find good tenants for your condo. If you are interested in buying a Brownstone Condo contact Paul Teasdale. These condos do not come for sale very often. We may have to wait a while. Due to their high occupancy they are usually in high demand. If you are looking to sell a Brownstone Condo contact Paul Teasdale of Team Teasdale Realty and we will tell you what it is worth and quickly sell the condo for you.